WISeKey International Holding Ltd (WIHN.SW) (“WISeKey”) and a group of successful entrepreneurs having built and sold multiple companies in India and US announced today that they have signed a Memorandum of Understanding (“MoU”) to establish a Joint Venture to deploy WISeKey IoT and Cybersecurity Platform to the Indian Market. WISeKey reached an agreement that would result in the localization of WISeKey’s Cybersecurity Platform in India to serve several markets such as IoT, Cybersecurity and Authentication of objects. This will grant Indian customers – both individuals and organizations – trusted identities for IoT objects and mobiles, enabling them to complete secure online transactions with confidence, trust the identities of others, and the identities of the IoT infrastructure on which the transactions run via localized Root of Trust to serve the Indian Ecosystem. Some of the segments that will benefit from the WiseKey platform are telecom, manufacturing and retail including e-commerce. Certain terms of the WISeKey India Joint Venture remain subject to final approval by all parties and should be concluded soon and expected to be announced in October at the Indian Economic Summit. As per the terms of the Joint Venture, WISeKey will create a WISeKey Cryptographic Root of Trust in India for IoT manufacturers and chipmakers allowing them to add digital certificates on their chips at the hardware level to encrypt the communication and authenticate the devices. The first project is already under development for the use of semiconductors IoT Chips and Asymmetric Keys to authenticate a very large number of products to be deployed in the country. WISeKey is currently deploying large scale IoT digital identities for objects including watches, sensors, mobile phones, laptops and wearables using its Cryptographic Root of Trust and VaultIC© Semiconductors IoT technology. This trusted technology integrates wearable technology with secure authentication and identification, in both physical and virtual environments, and empowers IoT and wearable devices to become secure transactional devices. WISeKey has patented this process in the USA as it is currently used by many IoT providers (for more information visit: http://patft.uspto.gov/netacgi/nph-Parser?Sect1=PTO2&Sect2=HITOFF&p=1&u=%2Fnetahtml%2FPTO%2Fsearch-bool.html&r=1&f=G&l=50&co1=AND&d=PTXT&s1=wisekey&OS=wisekey&RS=wisekey). The Root of Trust (“RoT”) serves as a common trust anchor, which is recognized by the operating system (“OS”) and applications, to ensure the authenticity, confidentiality and integrity of on-line transactions. With the Cryptographic Root of Trust embedded on the device, the IoT product manufacturers can use code-signing certificates and a cloud-based signature-as-a-service to secure interactions among objects and between objects and people. At the heart of this strategy is the OISTE-WISeKey Cryptographic Root of Trust which has been actively used since 1999 by over 2.6 billion desktops, browsers, mobile devices, SSL certificates and Internet of Things’ devices. The OISTE WISeKey Cryptographic Root of Trust is ubiquitous and universal, and a pioneer in the identification of objects. It is estimated that the global wearable market will grow at an annual rate of 35% over the next five years. The rapid growth of the number of connected devices is driving the shift from the current traditional mobile payment method to highly secure transactions from wearable devices using trusted communications and authentication technology. WISeKey’s Cryptographic Root of Trust and NFCTrusted© technology enables these wearable devices to connect safely and make secure payments and other transactions. WISeKey India will also deploy a private-label mobile application and service platform that provides Near Field Communication (NFC) payment functions, pre-paid services capabilities, e-coupons, targeted advertising, as well as the management of and access to personal data by users. Gary Gauba, serial entrepreneurs with three successful exits in India and US to Fortune 500 companies ,who also serves on the board of WISeKey North America commented: “The establishment of Indian Root of Trust and Public Key infrastructure by WISeKey India will dramatically increase the confidence in individual as well as organizations to conduct online transactions“. 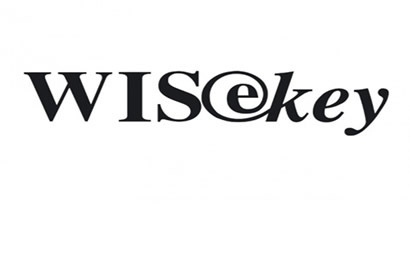 WISeKey (SIX Swiss Exchange: WIHN) is a leading cybersecurity company and selected as a World Economic Forum Global Growth Company. WISeKey is currently deploying large scale Internet of Things (“IoT”) digital identity ecosystems and has become a pioneer of the “4th Industrial Revolution” movement launched this year at the World Economic Forum in Davos. WISeKey’s Swiss based cryptographic Root of Trust (“RoT”) integrates wearable technology with secure authentication and identification, in both physical and virtual environments, and empowers IoT and wearable devices to become secure transactional devices. The RoT serves as a common trust anchor, which is recognized by the operating system and applications, to ensure the authenticity, confidentiality and integrity of on-line transactions. With the cryptographic RoT embedded on the device, the IoT product manufacturers can use code-signing certificates and a cloud-based signature as a service to secure interactions among objects and between objects and people. WISeKey has patented this process in the USA as it is currently used by many IoT providers.